Mercenaries Saga 3! Shift DX! Discounts! Nintendo Switch week is here, but the Wii U and 3DS eShop still have the usual updates on the way. In Europe this week's Nintendo Download Update has two new arrivals on the portable, while there are some tempting discounts across both systems; let's get to it. 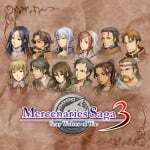 Mercenaries Saga 3 (CIRCLE Entertainment, €5.99 / £5.89) - The Mercenaries Saga series has so far delivered a couple of solid budget RPGs; we quite enjoyed its first sequel earlier in the year. 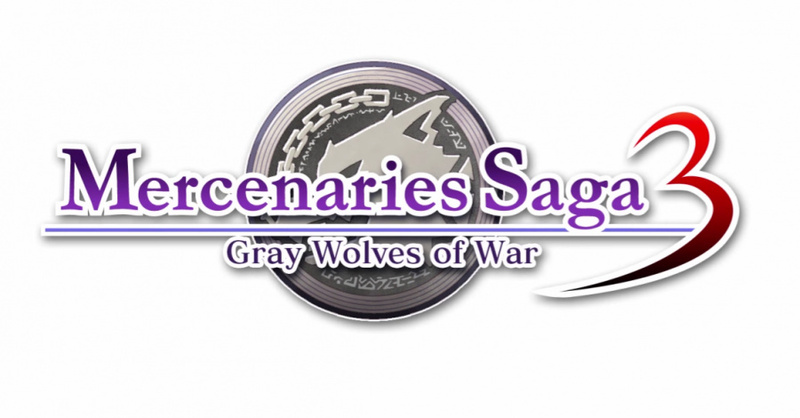 Now Mercenaries Saga 3: Gray Wolves of War has landed with another dramatic plot of war, power and danger - we'll check it out in a review. Shift DX (Choice Publishing, €4.99 / £4.00) - This series, known for its key concept of being able to "shift" the playing field to a different angle and therefore tackle puzzles in an interesting way, has spawned many sequels across PC and IOS. This iteration includes all the levels from the first two games and 100 more stages besides, so there'll be plenty to tackle; we'll get stuck in for a review. This was inevitable given the Switch event this Friday. That's the end of my hope for Smash 64 on Wii U VC then. There's some good deals on Wii U games this week. Unfortunately I already own them all. Everyone should buy Toki Tori 1 and 2, The Swapper, Guacamelee! and Stealth Inc. 2. And more besides. If you can only buy 1 game, make it Toki Tori 2. It's amazing. It's a poor week for those who have been buying indie games on the eShop for a while (all the interesting games in the list have been discounted previously, except for Severed) but for those who are catching up, with a single 15 quid eShop card you can get some of the best games on the system (Guacamelee, OlliOlli, Stealth Inc. 2, Lone Survivor etc), so it's not a bad week. I will probably get Severed, although a 30% off is not exactly what I consider a "bargain" (but the game is just a couple of months old, so it's understandable). Damn, those are some nice discounts from Curve Digital! I think I'm going to get Stealth Inc 2 and possibly Thomas Was Alone and OlliOlli too. Might get Toki Tori 3D for that price. Maybe Severed, too. Maybe. @Grumblevolcano You can always get it on the Wii Shop Channel. It may not be as high res but 480p is pretty good for N64. I will get Toki Tori 2+ and possibly one of the games from DrinkBox Studios. The Toki Tori games are great value. Saving all my money for the Switch from here on out. @ZukutoBen I already have it on Wii VC, want upgrade especially as the only games from the Wii Shop Channel I've bought that don't have upgrades so far are Smash 64, Gradius III, Mega Man 9 and Mega Man 10. I never expected Gradius III to transfer to Wii U VC and the 2 Mega Man games are WiiWare so also didn't expect transfer to Wii U eshop. That leaves Smash 64 which I did expect to transfer. @Grumblevolcano In a way I regret transferring my Wii Downloads to Wii U. I made a region mistake and Nintendo won't let me change it. They did mention that i can combine my accounts. Perhaps I should try that soon. The only real advantage is being able to alter controls and save states. I think it's crappy of them to charge us again for a game we already bought. ... a reason that makes me go "a-ha, a-ha, yeah"!! Good discounts! Was going to buy The Swapper on PS4, but that's one good deal. wow! definitely want mercenary saga 3 and might get the other 89p games from MSL I didnt get before and at just 60p might get that toki tori game too! Severed is a really good game. Nice to see it on discount relatively soon after it's launch on Nintendo platforms. just brought me self a snes of ebay and gonna start my collection all over again,i had high hopes for snes games on the 3ds but seems like nintendo just dont like easy money.. I think so, actually. A justification for all the empty updates of yesteryear? Definitely not. But understandable in the wake of the Switch's upcoming debut? Absolutely. @manu0 It's only a very, very small selection of SNES games though. The best thing I ever did was bought an Everdrive for my old SNES, I can play anything I want to on it now. If you don't have olli olli, pumped BMX and stealth inc 2 then get them in this sale, at that price there a bargain. I'll probably be getting the toki tori games and ultratron myself. I've got about £6 on my wii u right now. Great sale if you don't own any of them. I sadly bought most of them at same price earlier on both 3DS and Wii U. "If you can only buy 1 game, make it Toki Tori 2. It's amazing." I agree wholeheartedly. This is a gem so underrated it's sad. I loved every minute of it! @BornInNorway81 I wish I could upvote that comment more. It's one of if not the finest games on the eShop. The price was a steal, never played the prequel but heard good things so bought it with no preconceptions. Wow! Just wow! I'm so sorry the studio has disbanded. They were completely underappreciated.